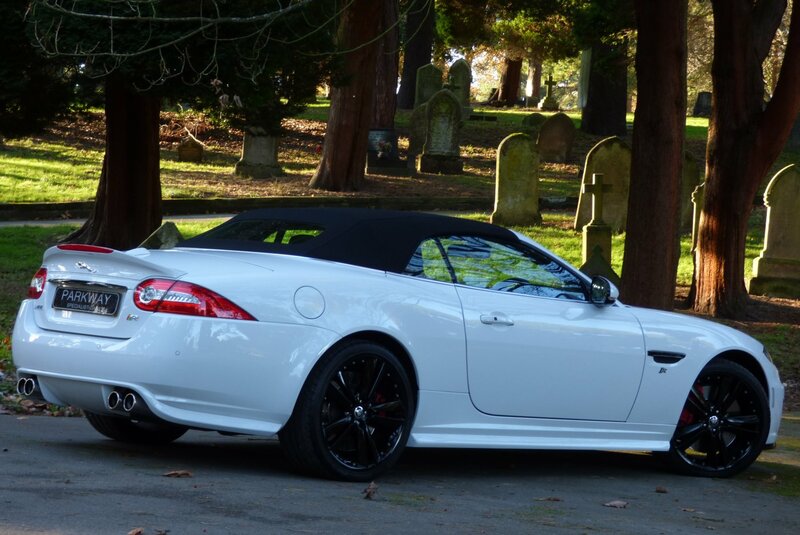 The Redesigned XK Debuted In 2005 At The Frankfurt Motor Show In Germany And Was Styled By Jaguar's Chief Designer Ian Callum. 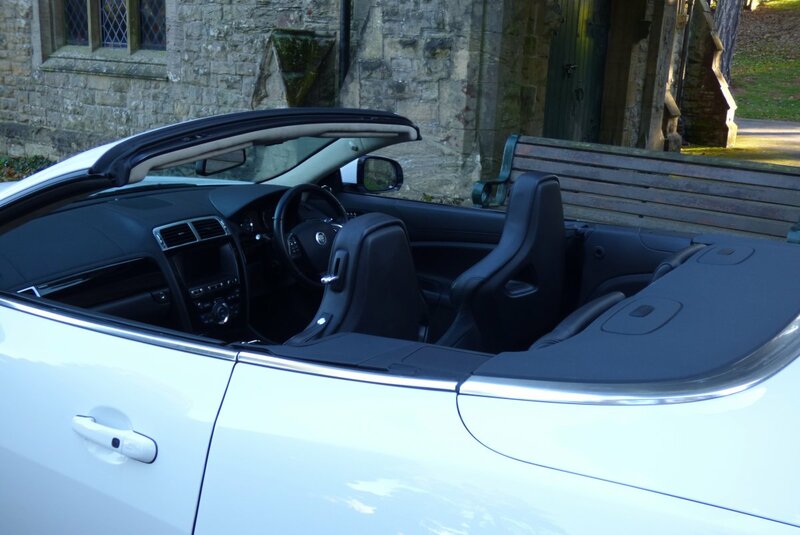 The Lightweight Aluminium Body, Teamed With The Five Litre Engine Produces Exhilarating Acceleration With Effortless Effort And Is Capable Of Delivering A 0-60 Time In 5.2 Seconds And A Very Healthy Limited Top Speed Of 158 MPH. 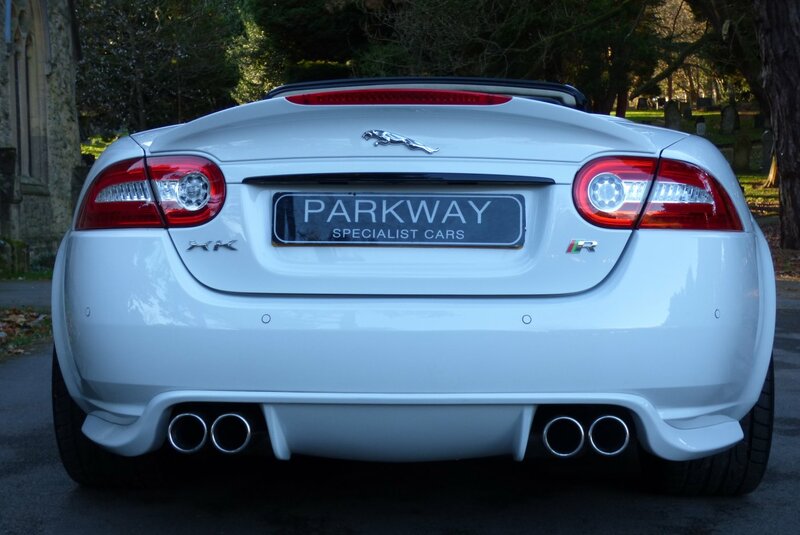 This Was Of Course For The More Sensible Option Of The Normal Five Litre XK, So Not To Be Outdone Jaguar Gave Us The Mighty XKR, Which Had A Fabulous Turbo Charged Unit Attached Which Generated A Rather Healthy 510 Brake Horse Power Capable Of Accelerating From 0-62 In Just 4.6 Seconds With A Limited Top Speed Of 158MHP, Which You May Have Thought Was More Than Ample, However Jaguar Also Included The Option Of The Now Rare And Expensive Factory Speed Package That Would Take The Top Speed To 174 MPH, Which Made This Remarkable Model, An All Out Super Car. 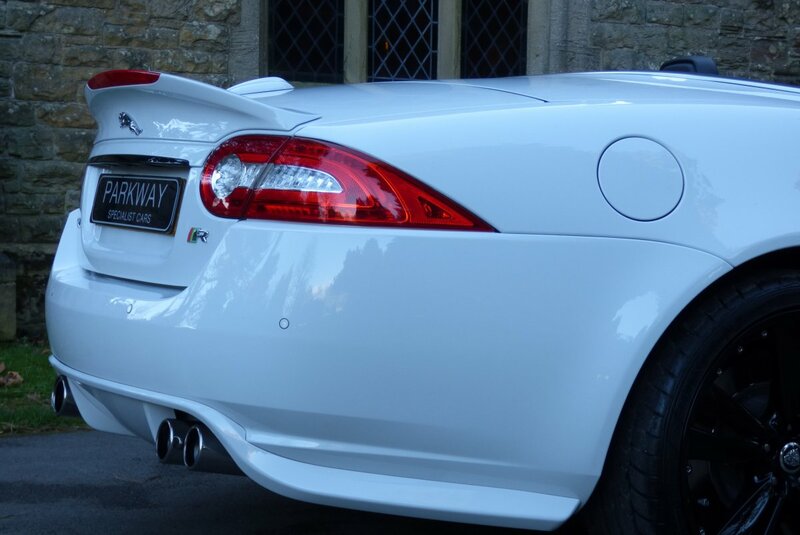 The XKR Combined Extreme Performance, Renowned Luxury And Relevant Technology, Intuitively Expressed To Connect The Driver To The Car And The Car To The Road. 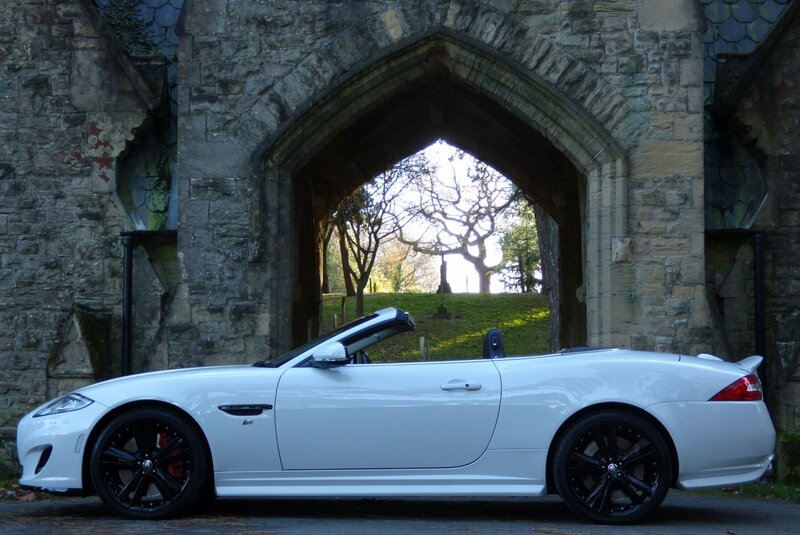 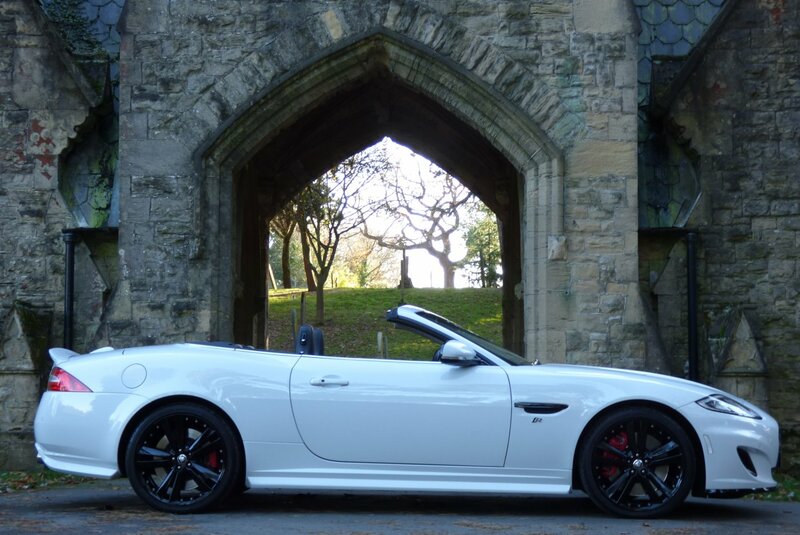 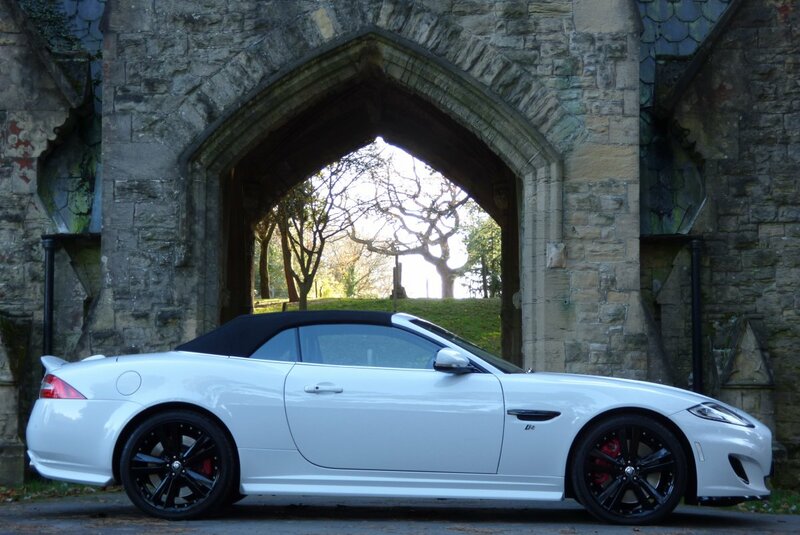 World Class Technology Is Empowering But At The Same Time Never Over Powers The Driving Experience And This Successful Recipe Has Now Meant That This Model Has Acquired New Status, Of A Credible Modern Day Classic Jaguar, Due To The Last Cars Offered In The July Of 2014 And The Sad End To The XKR Brand. 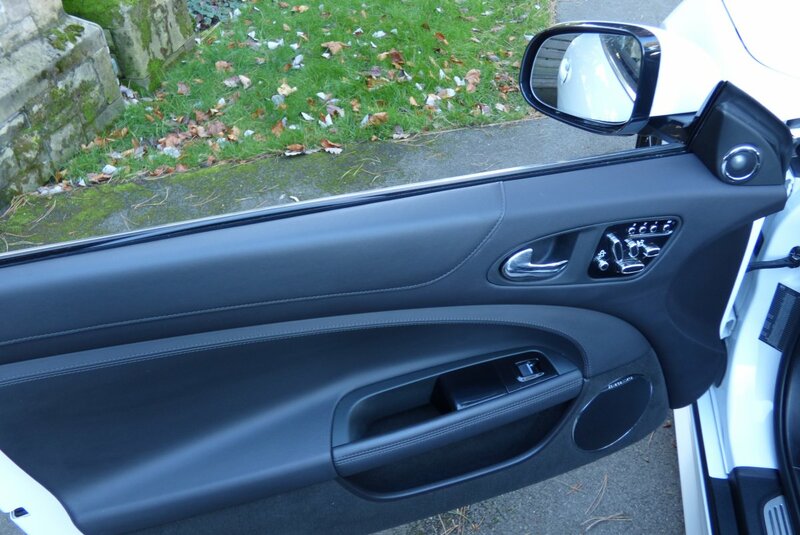 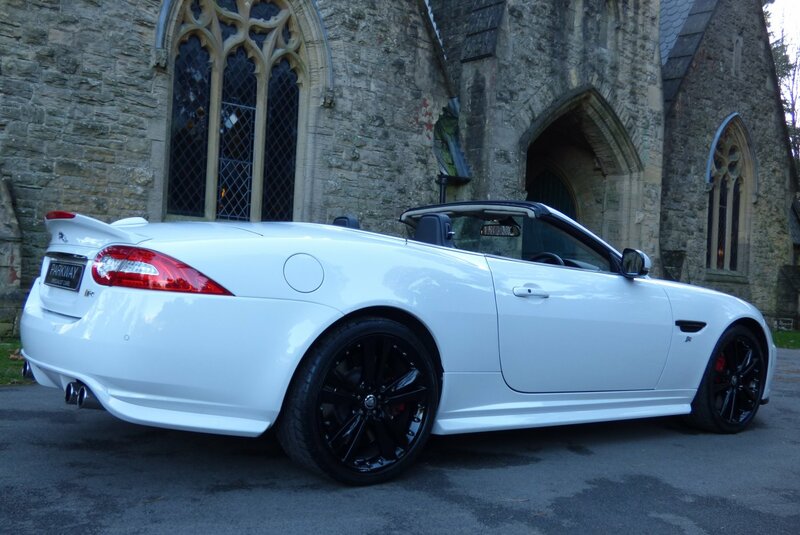 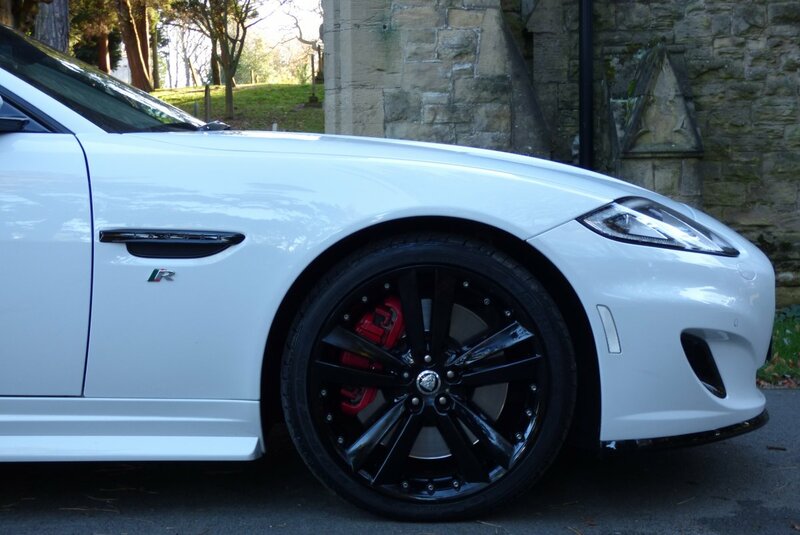 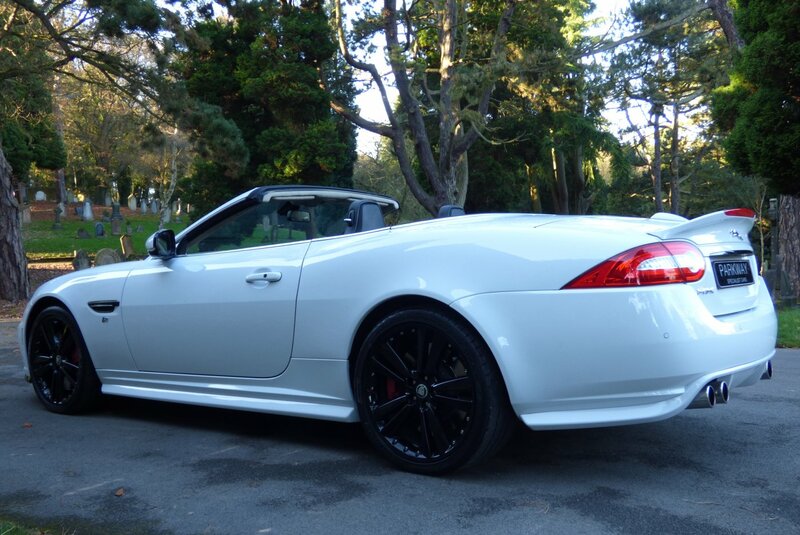 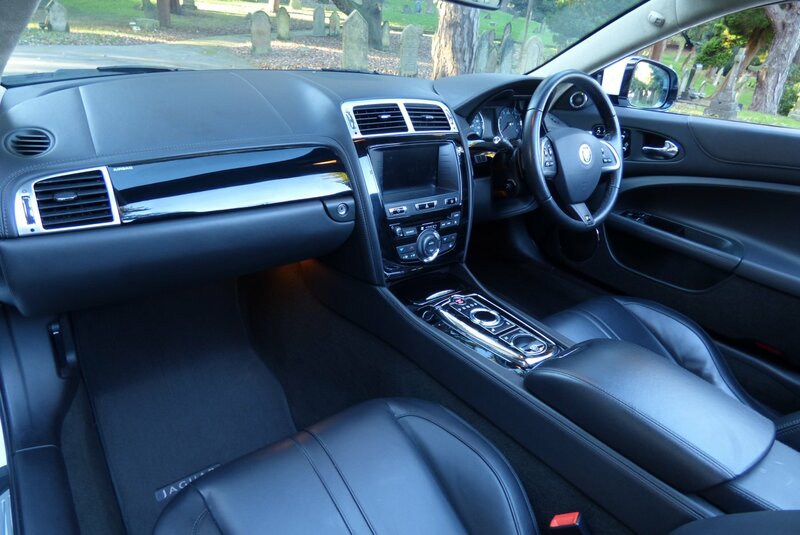 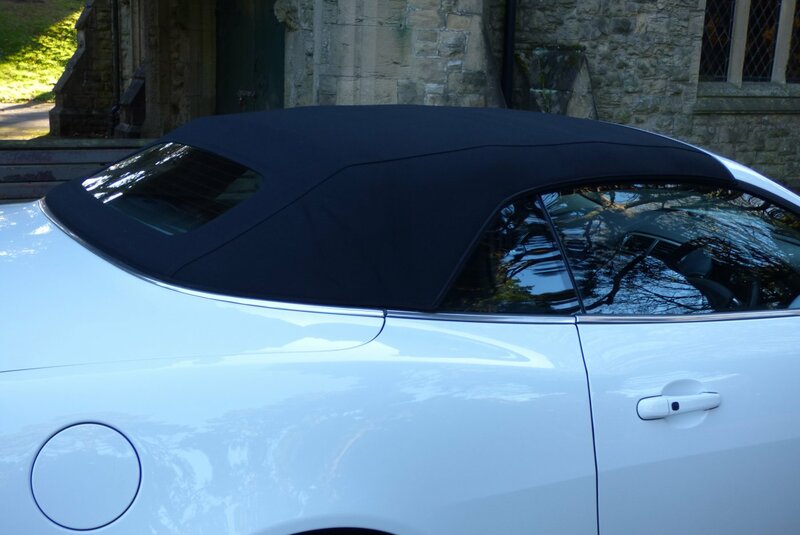 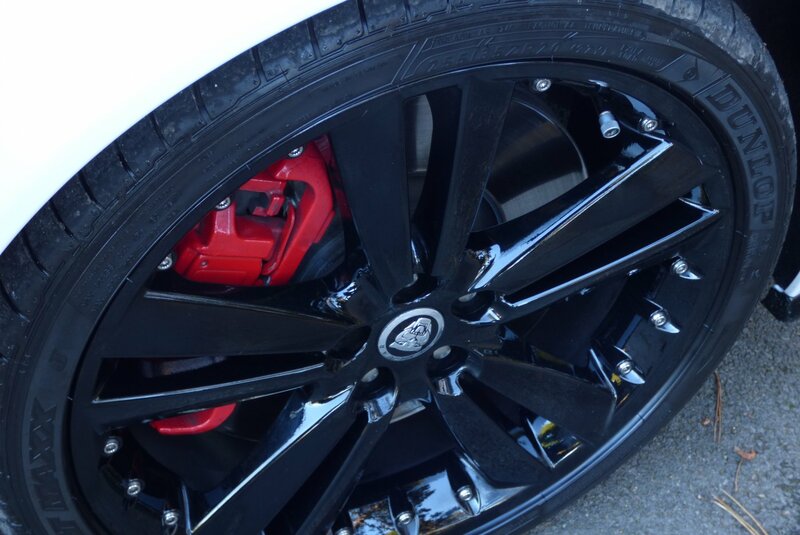 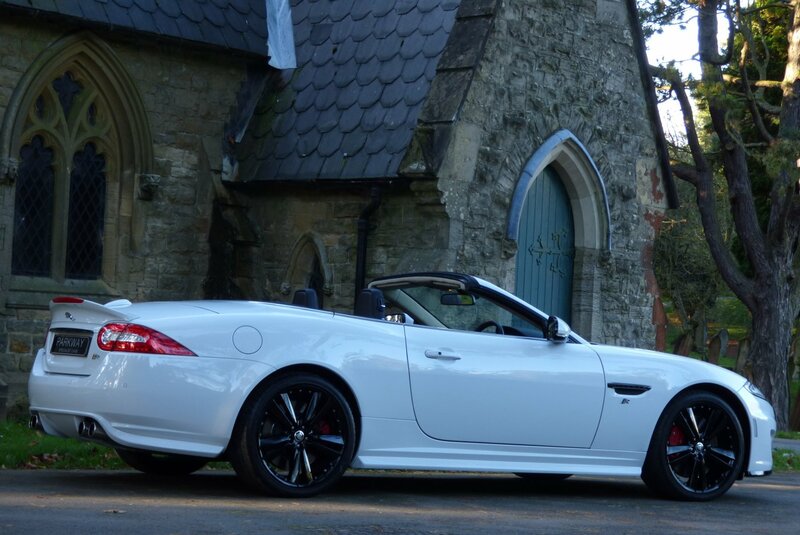 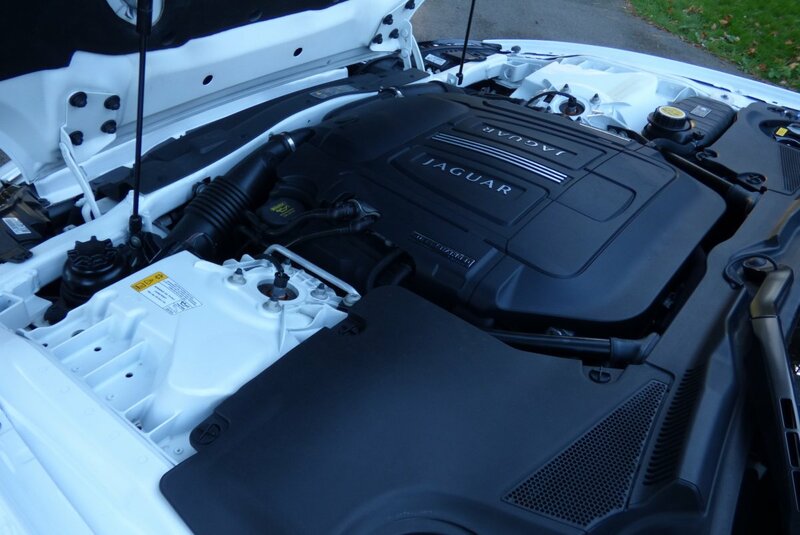 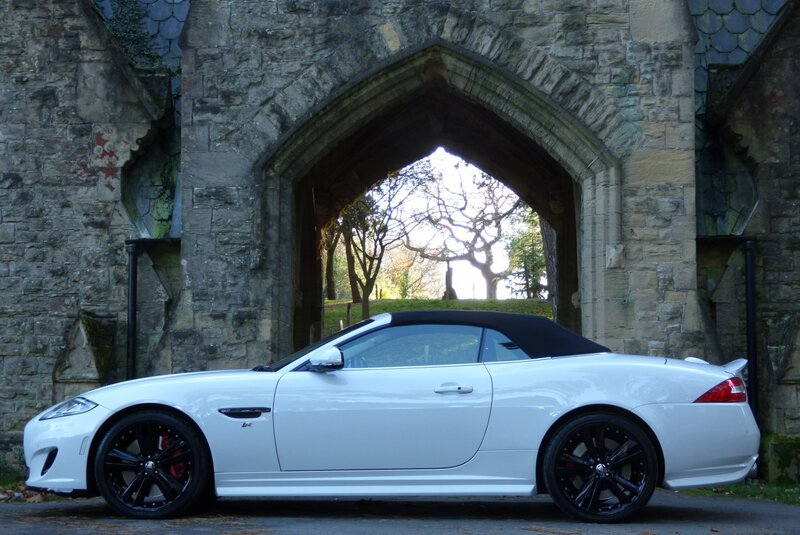 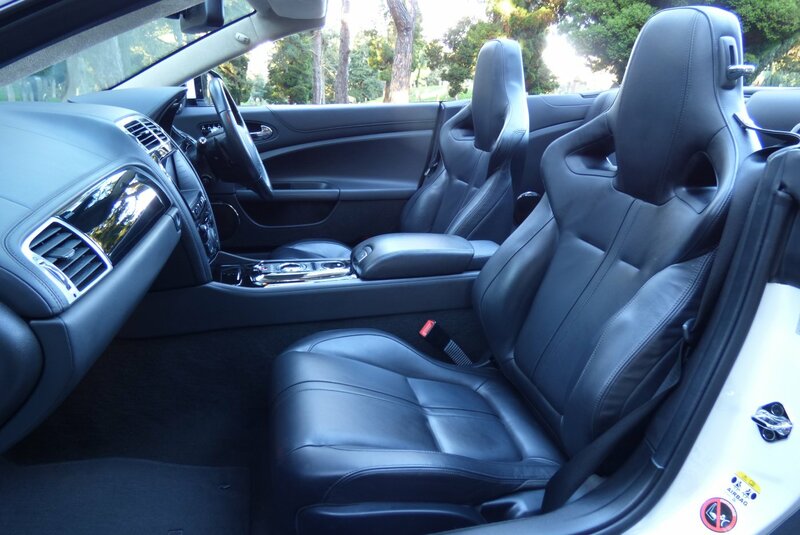 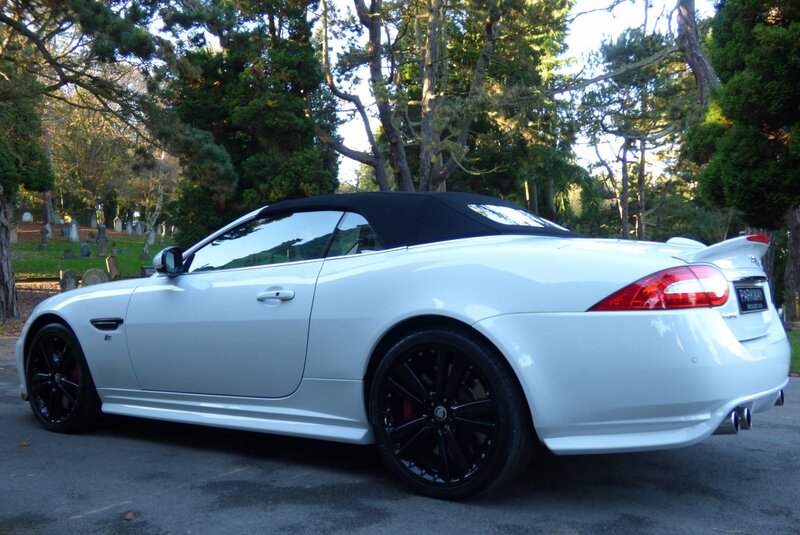 This Lovely Example Was First Supplied By Paragon Jaguar In The March Of 2012, With The Last Keeper Acquiring The Car In The February Of 2015 And Since This Date The Car Has Only 2518 miles By This Owner. 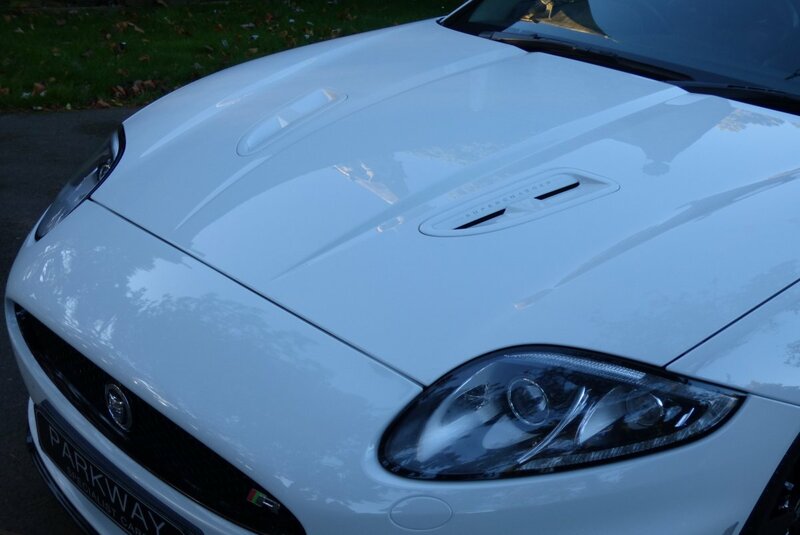 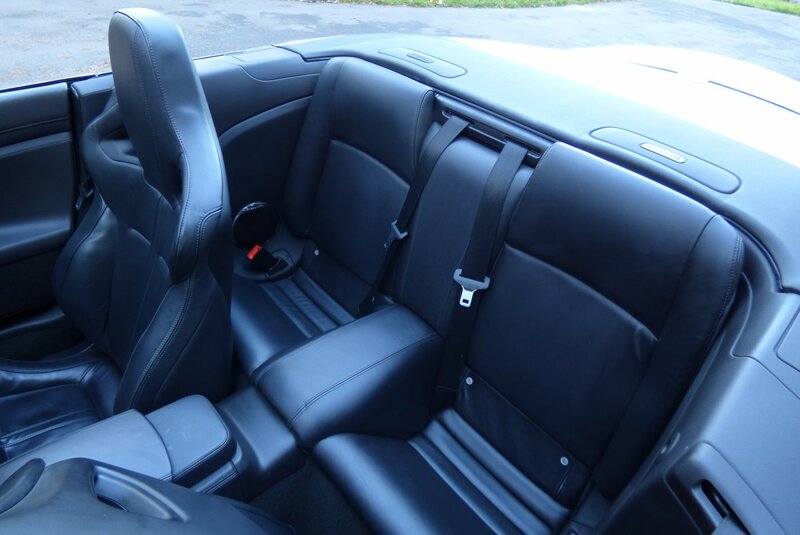 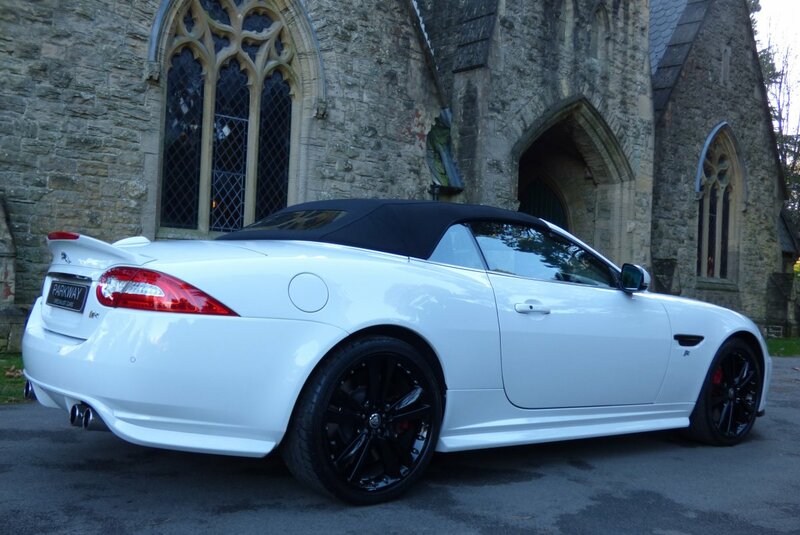 The Vehicle Has Just Recently Celebrated Its Fifth Birthday, However Regardless Of This Milestone This XKR Has Had Very Minimal Miles Applied With An Average Of Just 7000 Miles Per Year Since 2012, But Still Has Been Maintained To A High Standard With Historical Past Service Visits Logged At 13559, 27983 & 31990 Miles And Once Sold Will Have A Further Service Completed By Our Fully Trained And Knowledgeable Workshops, Prior To The Next Lucky Custodian Taking Charge.  The Vehicle Will Also Be Presented With The Entire Booklet Pack, A Full Key Set, A Fully Cleared Hpi Report And The Complete Build Card From New. 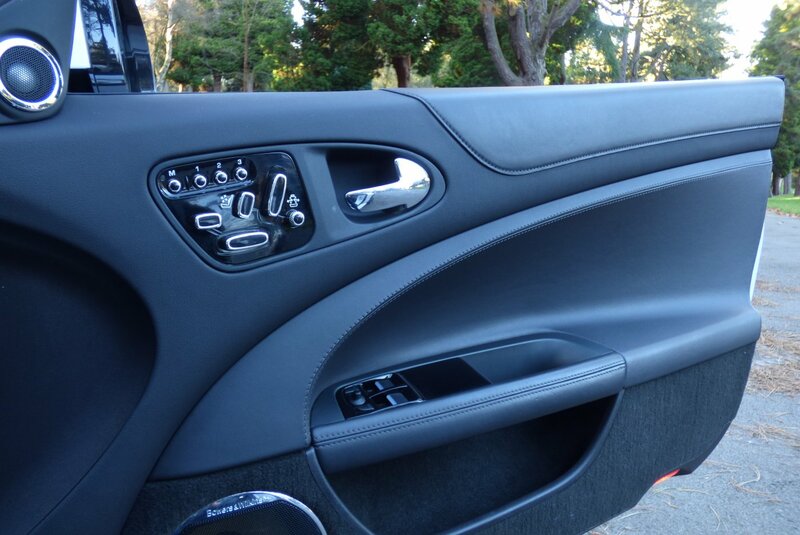 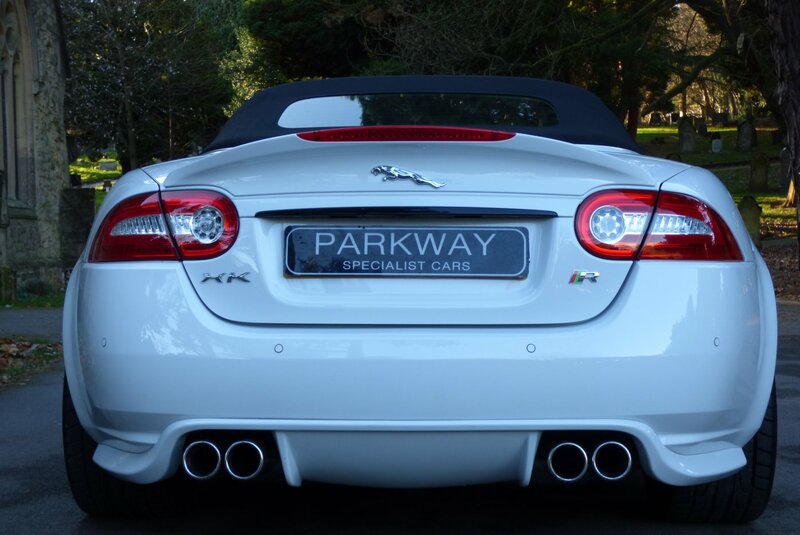 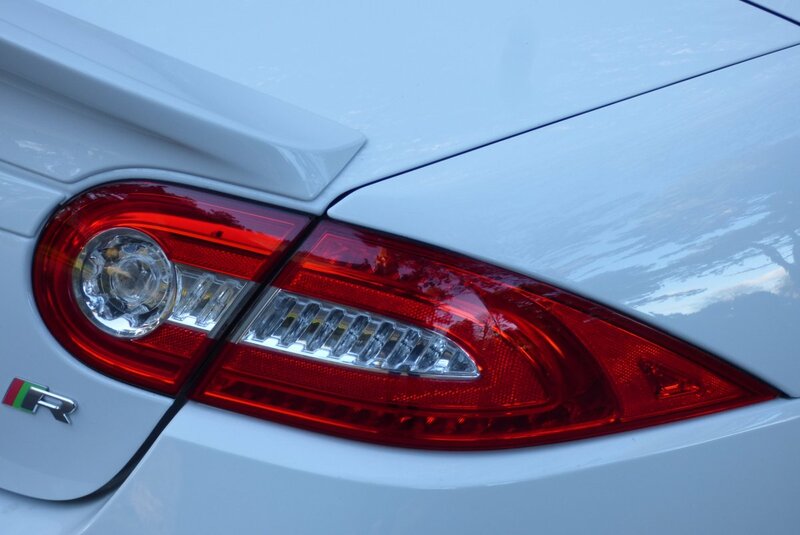 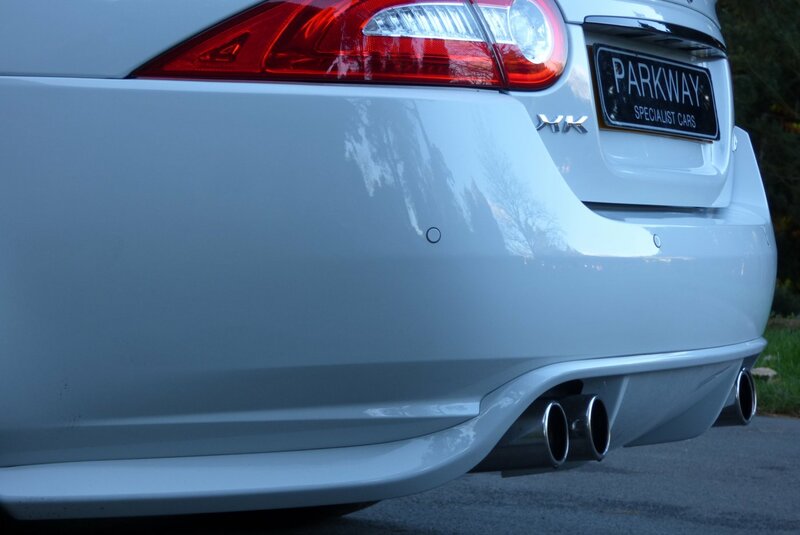 Every Aspect Of The XKR Is Ergonomically Designed To Enhance The Driving Experience, Whether Crossing Town Or That Special Planned Trip Into Europe. 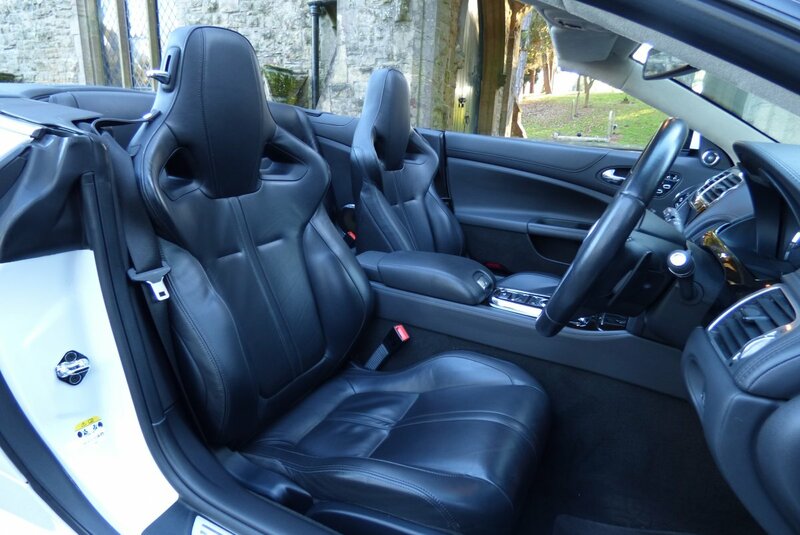 This Marvellous Example Was Opted From Factory Build With The Optional Ebony Black Adaptive Sport Seats Beautifully Complemented With Black Twin Needle Stitch Detail, The Black Leather Dash That Wraps Around This Elegant Space, The Leather Trimmed Door Cards, The Charcoal Black Carpets, The Black Roof Lining And Decorated With The Piano Black Internal Inlays, That Finish This Exciting Area. 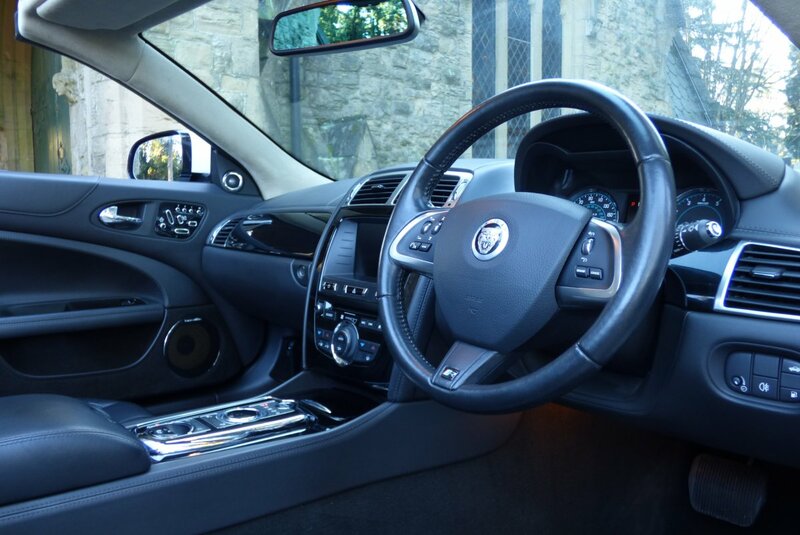 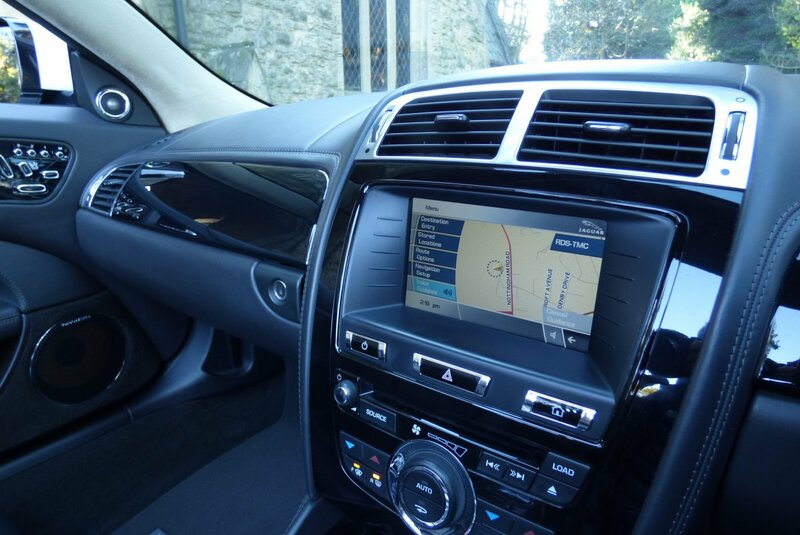 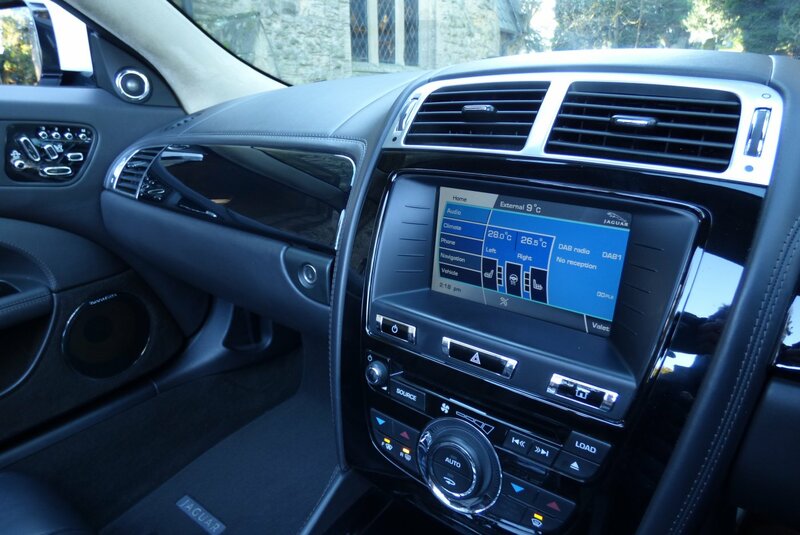 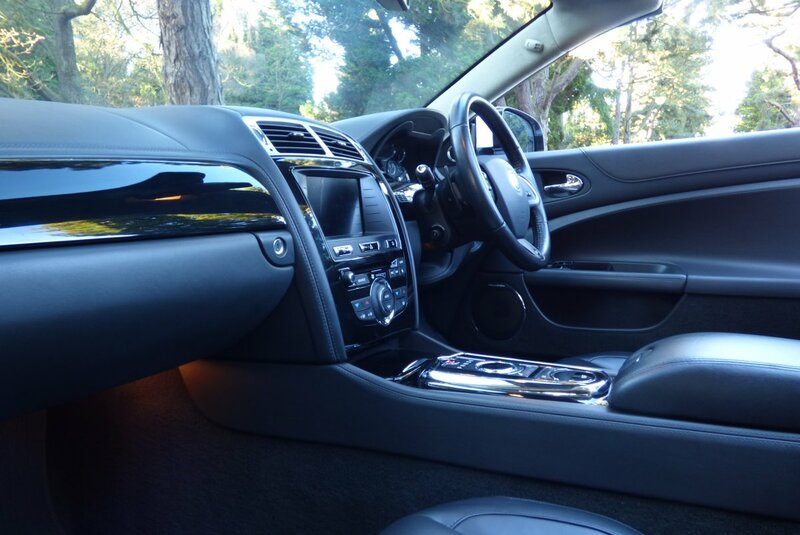 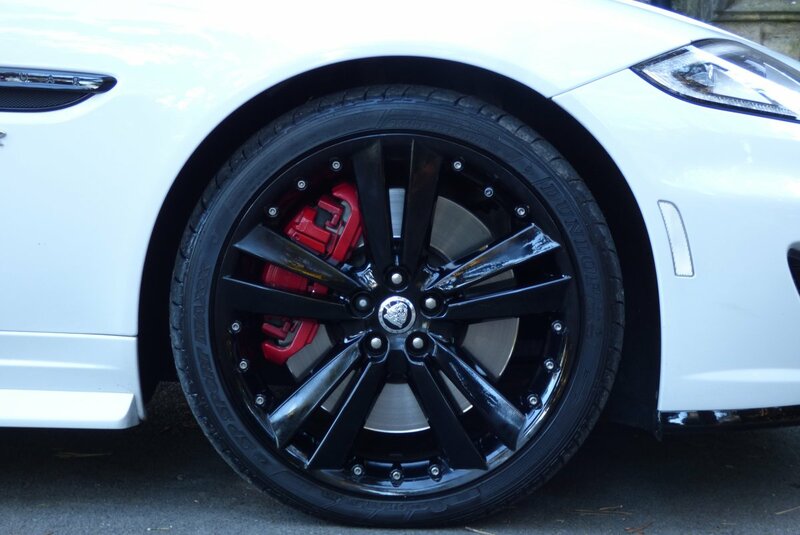 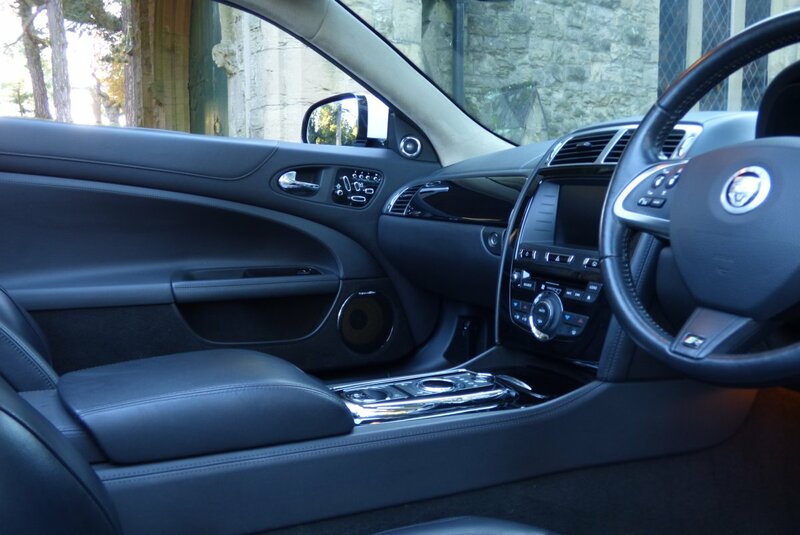 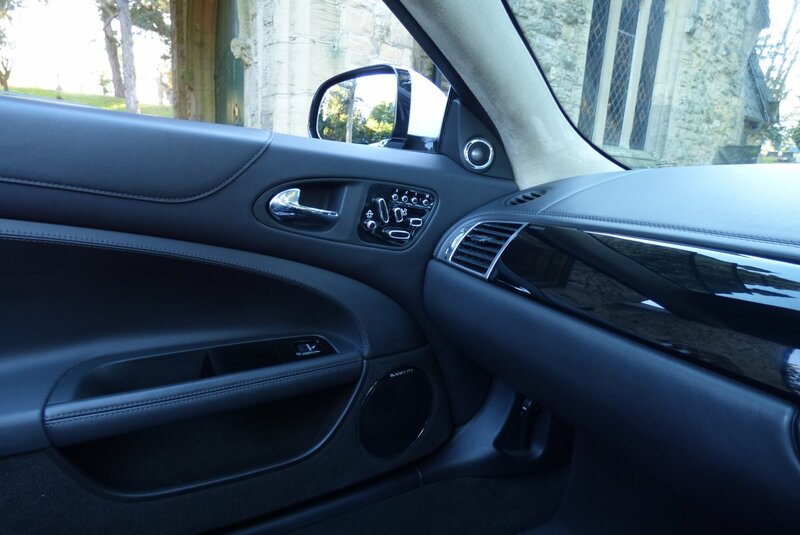 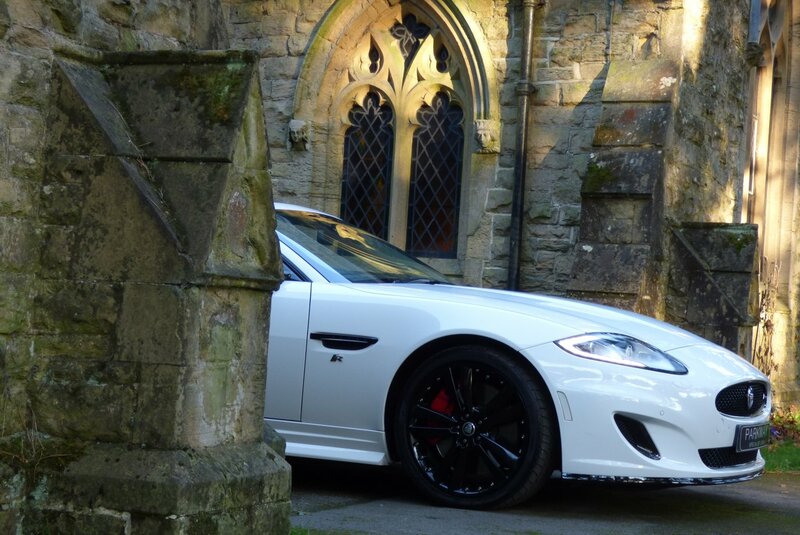 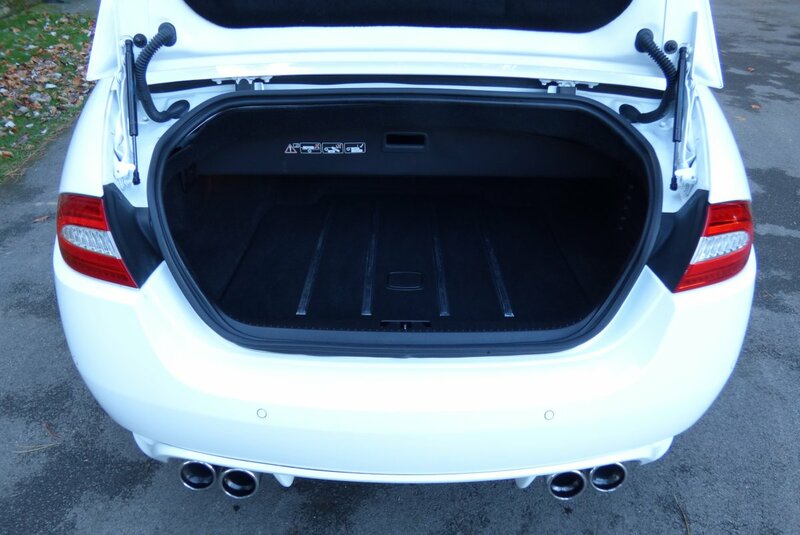 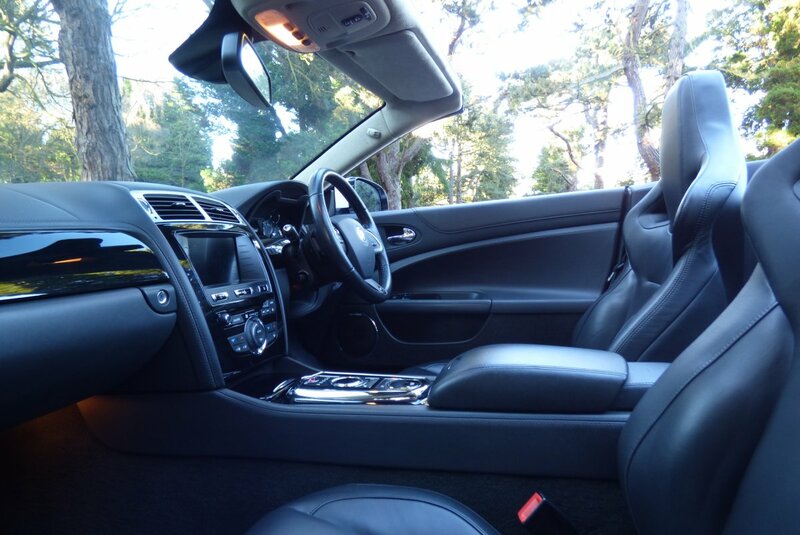 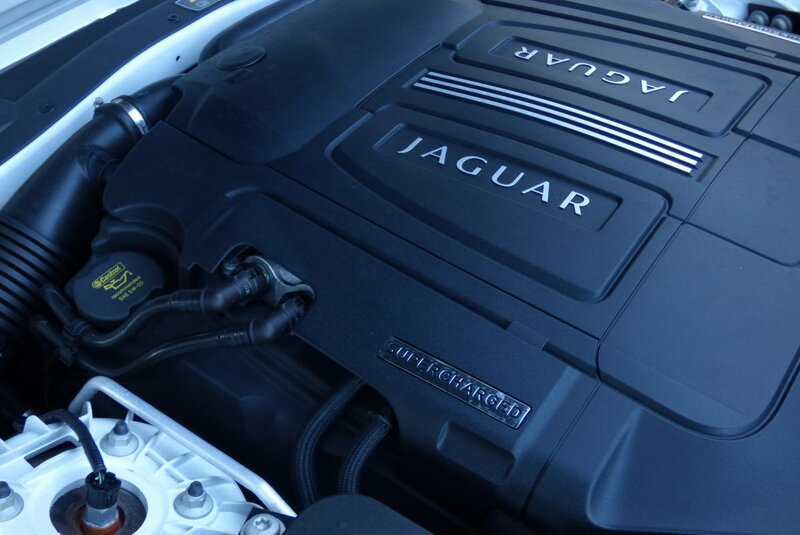 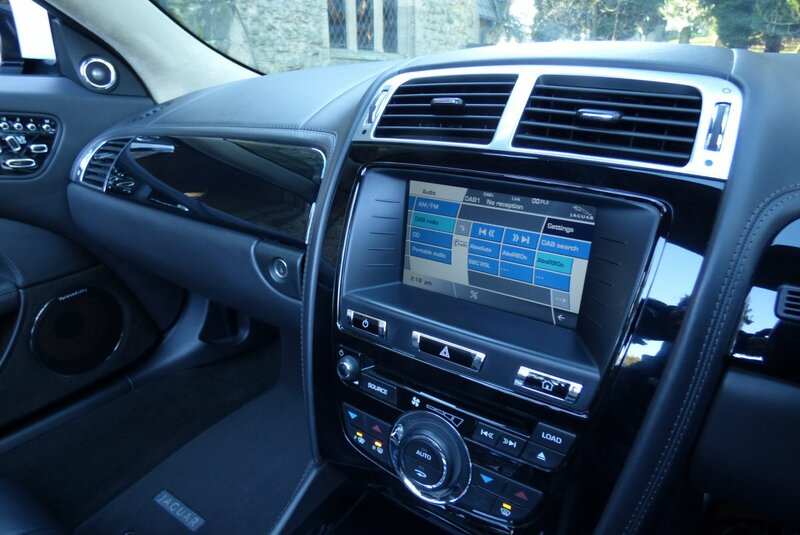 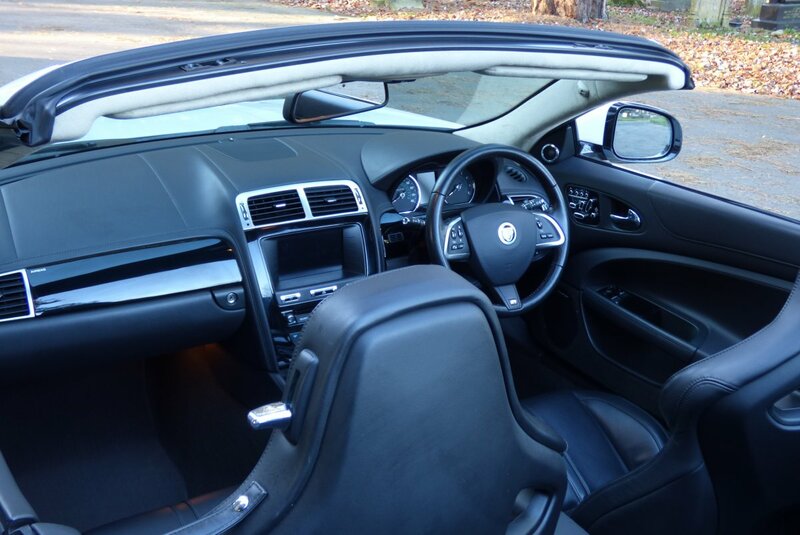 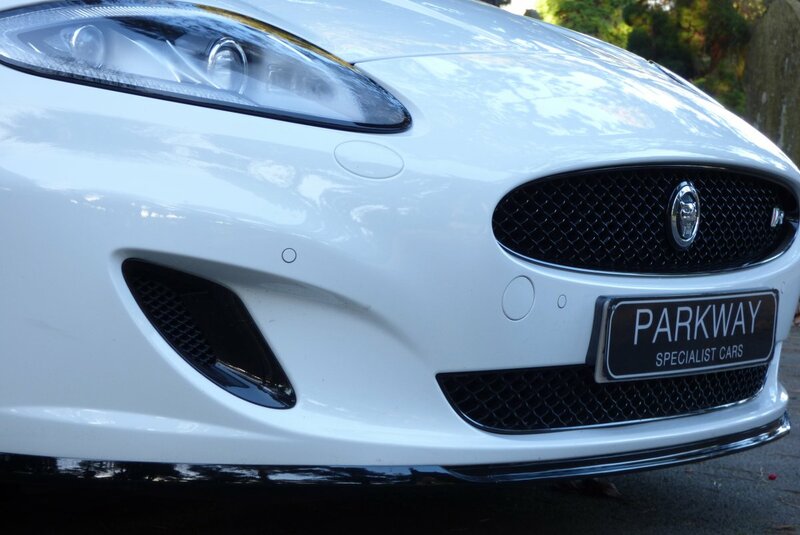 The Car Is Also Packed With An Excellent Mixture Of Jaguar Technology, Meaning That Every Trip Is Perfectly Controlled And Highly Enjoyable, No Matter The Distance Of Your Next Adventure. 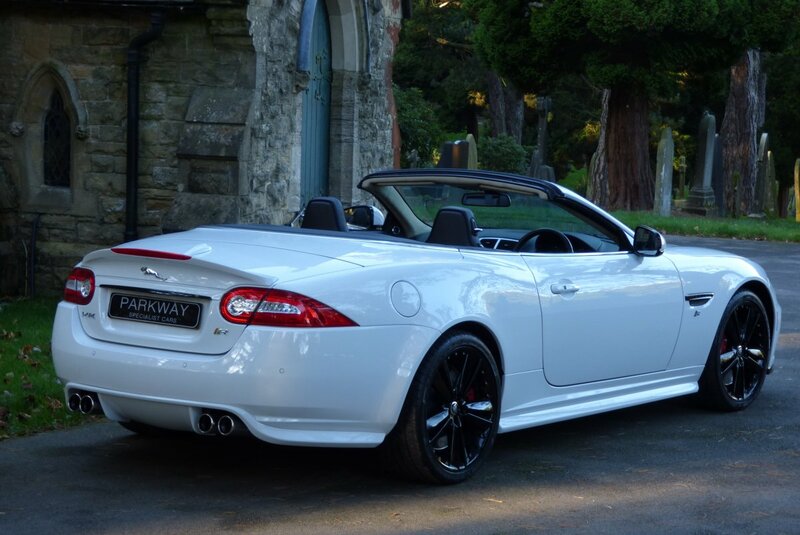 The Aluminium Body Is Presented In The Highly Desirable Polaris White, Which Perfectly Demonstrates The Aggressive Muscular Exterior Curves, The Sublime Jaguar Lines And Looks Staggeringly Beautiful With Or Without The Black Fabric Convertible Roof In Place. 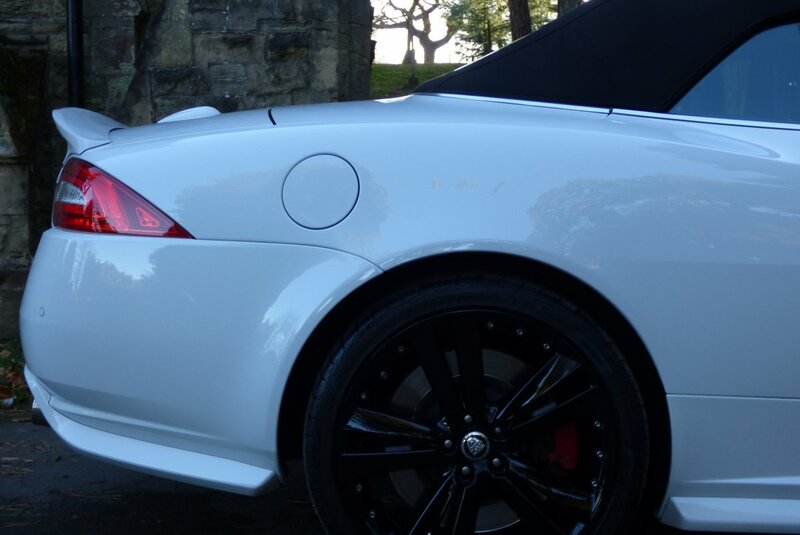 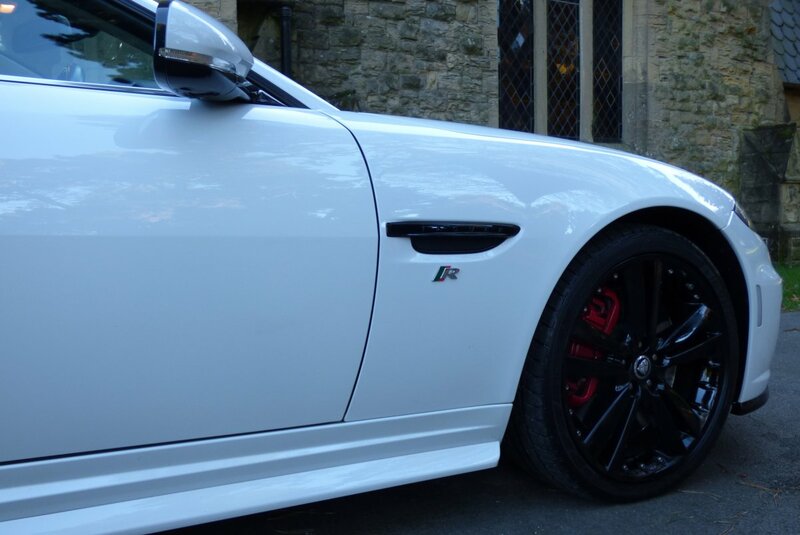 Further Factory Detailing Is Presented With The Unmarked Gloss Black 20" Five Arm Kalimnos Alloy Wheels Which All Sit On Branded Tyres, The Chromed Quad Exhaust Tips, The Colour Coded Super Charged Bonnet Vents, The Gloss Black Front Bumper Scopes, Jaguar Embossed Red Brake Calipers, The XKR Exterior Body Detailing, R Embossed Gloss Black Hexagon Front Grille, The Boot Mounted Shark Fin And Decorated With The Infamous XKR Body Badges, That Finish The Dramatic Effect.